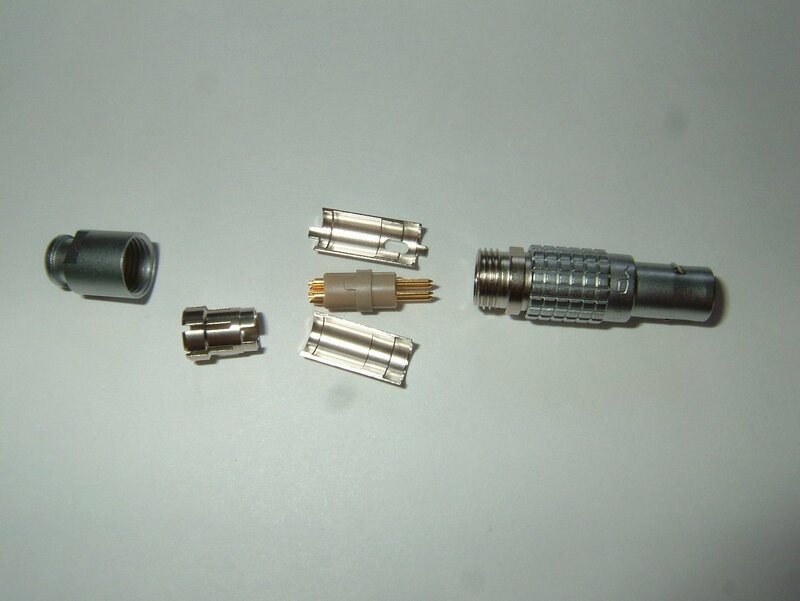 The two pins by the key are ground. 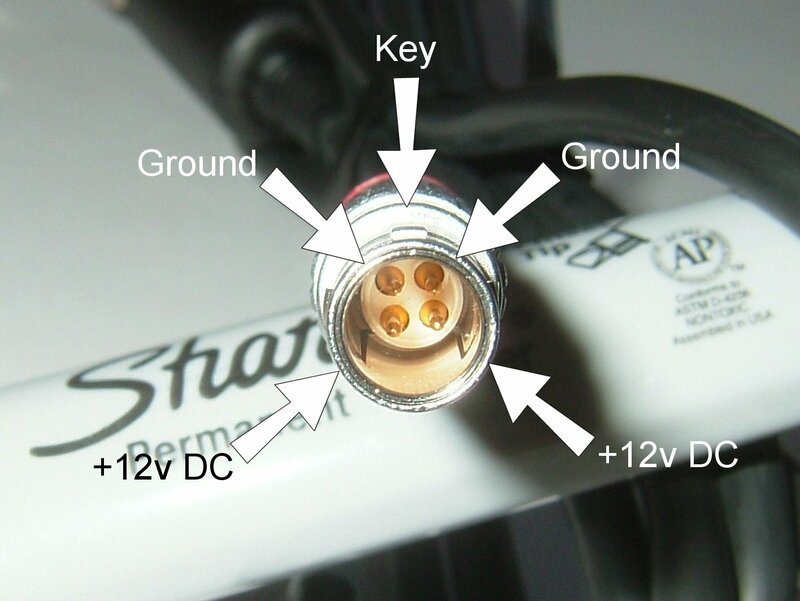 The two pins opposite the key are +12v DC. 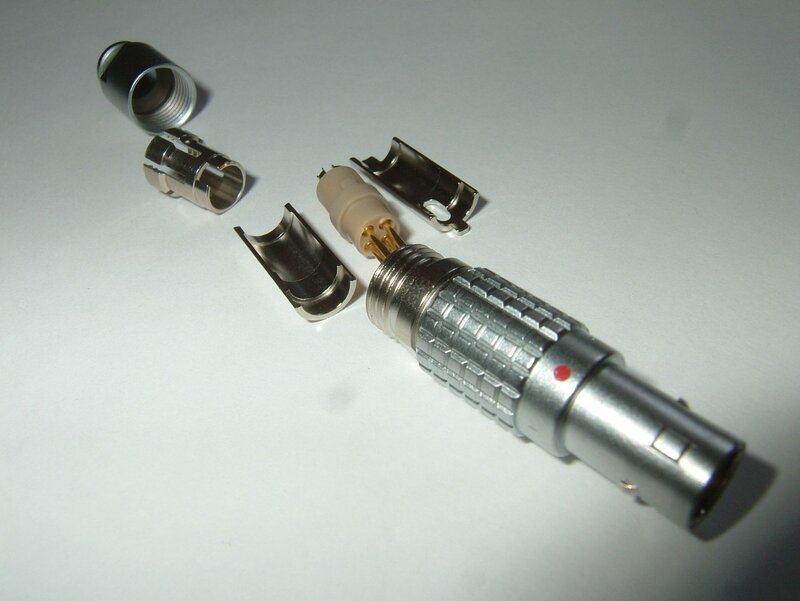 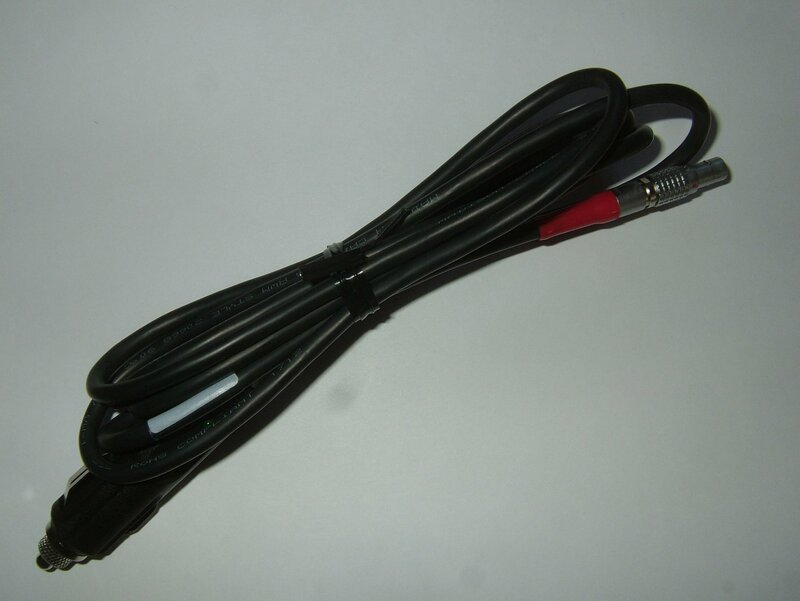 The factory power cable has a 3 amp fuse in the cigarette lighter plug. 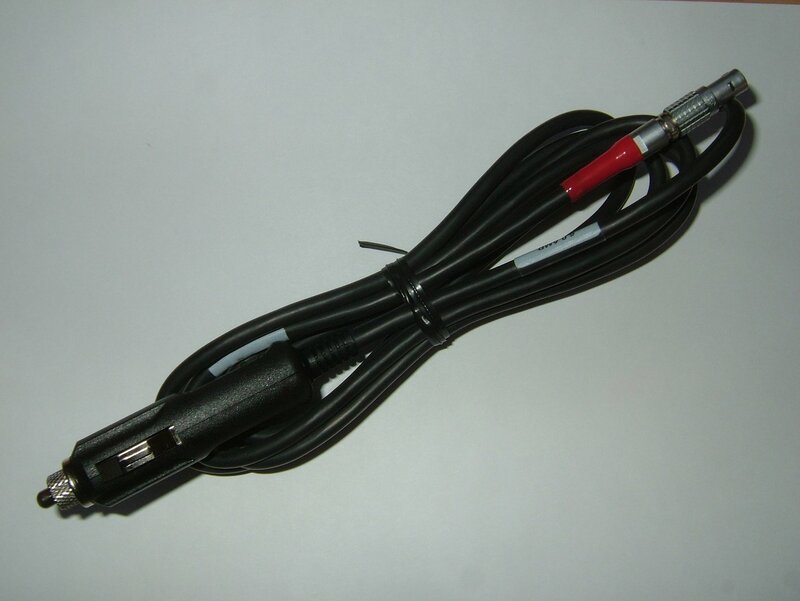 If you build a cable, be sure to include a fuse in the power circuit. 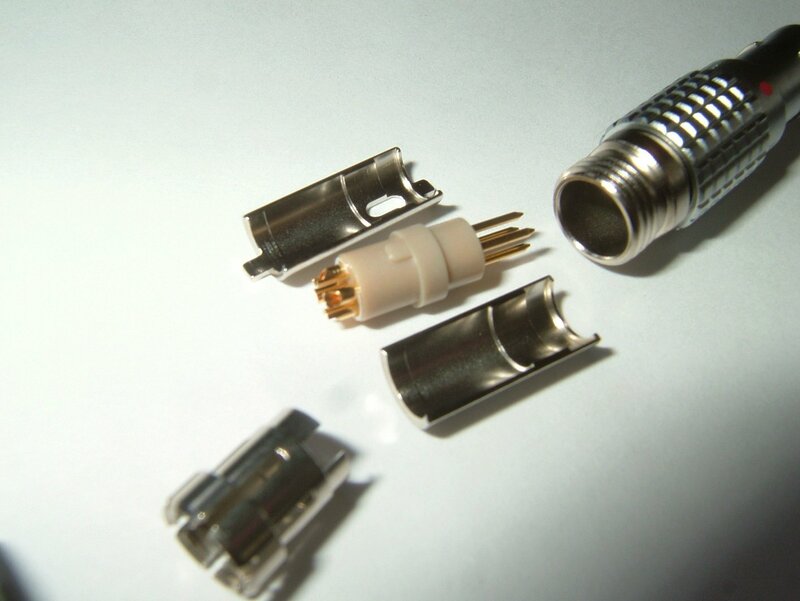 Also note that the solderable pins inside the LEMO plug are tiny, so have someone with experience solder them.